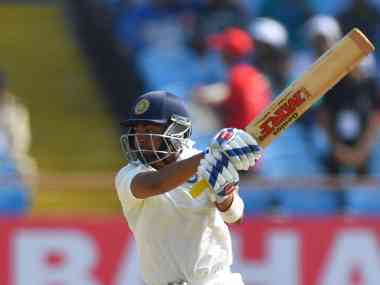 Prithvi Shaw lived up to expectations with a classy Test century on his India debut but the teenage sensation must tighten up his technique for tougher challenges away from home, feel former players. Shaw batted like a seasoned pro to hit a sublime hundred in the series opener against the West Indies, becoming the youngest Indian to reach three-figure score on Test debut. 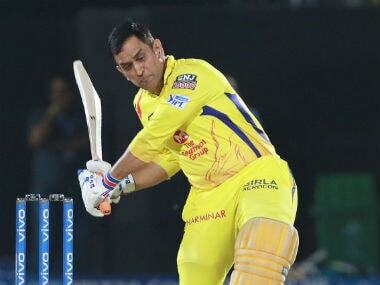 He did not face the best of attacks but it was still a special knock that promises a great career. His punches off the back foot reminded former West Indies all-rounder Carl Hooper of the good old Caribbean flair but he feels Shaw's aggressive style with the existing technique makes the 18-year-old vulnerable for sterner tests overseas, starting with the tour of Australia next month. "He seems to be a great talent but tends to play away from the body. Clearly, he likes to be on the back foot and play square off the wicket. 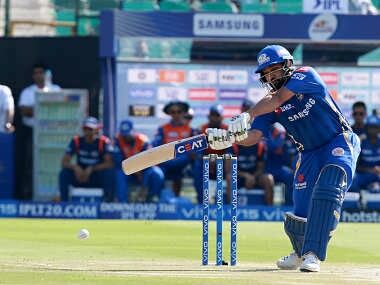 It worked here (in Rajkot) but with so much gap between the bat and body, he could face issues in England and Australia," Hooper, a veteran of 102 Tests, told PTI. Former India opener Aakash Chopra, who successfully negotiated the new ball in Australia during the 2003-2004 tour, has a different take on Shaw's technique. 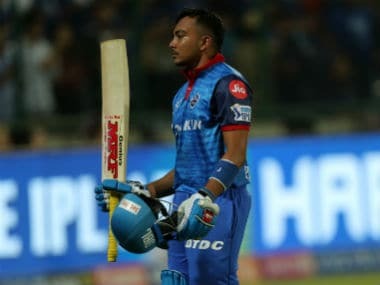 He too feels that Shaw needs to tighten up his game but said if an unconventional approach worked for Virender Sehwag, it could also work for the highly-rated teenager. "What we have just seen is perhaps a trailer of the things to come. It looks very promising. You cannot grudge about the opposition and pitch was flat. But he will be tested (overseas) and I am sure he is aware of it. 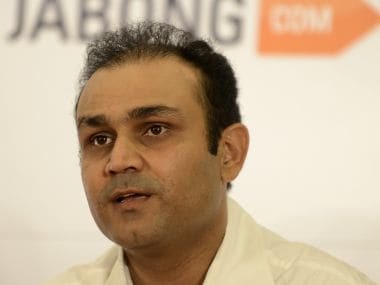 We will get to know whether he can weather the storm and what all he needs to do," said Chopra, who played 10 Tests for India. "Currently, there are couple of things, I am pretty sure he is working on that. 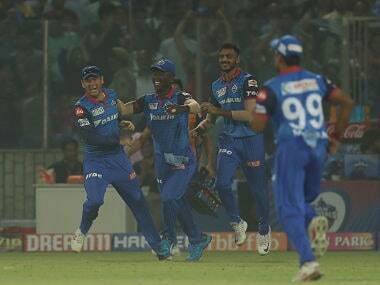 One was his trigger movement which is already looking different to we saw in the IPL. I am not too worried. He has got a great start," Chopra said. "People will have faith and he will get a slightly extended run. God forbid even if Australia does not end up being the best of tours for him, you have to bear in mind that lot of players went there the first time and did not really set the world on fire." He said Shaw might have to curb his aggression a bit while facing the likes of Mitchell Starc and Josh Hazlewood. The ball will swing in Australia but not as much as England. "There will be some swing as Kookaburra tends to move a lot early on. Hazlewood and Starc will be exploiting those conditions. See, you have to back yourself. Whatever took you to this level should make you successful at the highest level as well. "You may want to tighten up a bit but radical changes in your techniques are not advisable. He has got to be a little careful off the back foot. The punches that he likes to hit could be slightly risky if the ball is moving laterally. We will have to assume that he will learn with time. What he has done in the past counts for nothing. He will be eventually be judged by what he does at the highest level," added Chopra. Someone who has tracked Shaw closely is Amol Muzumdar, a stalwart of Mumbai and owner of more than 11,000 first-class runs. The 43-year-old said one should not jump the gun but wait till Shaw actually gets an opportunity overseas before making a comment on his technique. "I think he does not need to change too much. Every player has got his own style of play. His style is aggressive, playing on the rise and he should continue doing that. We will have to wait and see how does in England and Australia then only we can talk about it," said Muzumdar. "You cannot be technically correct all the time, too much reliance on technique is also not good. There has to be a balance between technique and flamboyance. All he needs to do is to be selective with his shot making. On which ball to go for your strokes and on which ball to hold back. 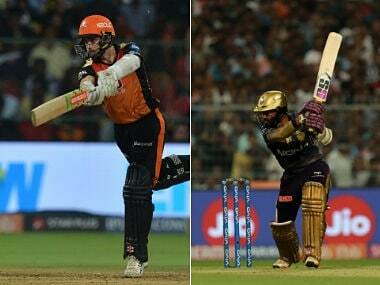 That is the only thing he needs to watch out," reckoned Muzumdar, one of Mumbai's finest batsmen.